British gold coins of the Royal coinage begin their history from the middle of the XIII century, when the head of Britain was King Henry III. All Great Britain gold coins in our catalog. Since then, each of the rulers, replacing his predecessor, minted coins of their own type. Some of the British gold coins of the Royal coinage are so rare that they are preserved in a single sample and are kept in the British National Museum. 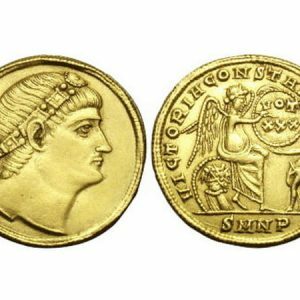 Each of the coins is primarily of historical value and is the subject of interest of numismatists and collectors around the world, and modern gold coins of Great Britain are primarily investment. ½ sovereign of 1817, St. George. 1 Sovereign 1918 British gold coin in our catalog. 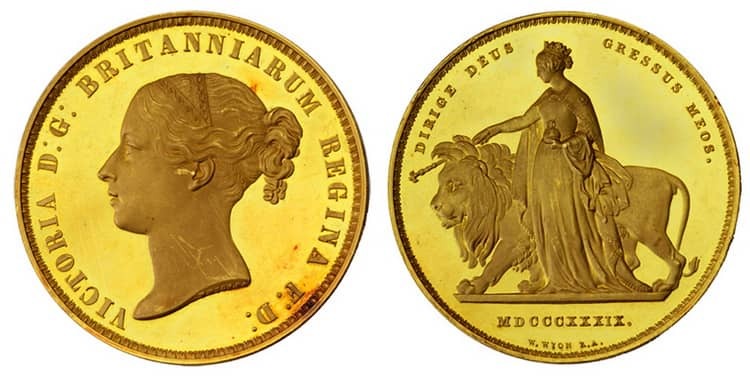 5 Pounds 1887 British gold coin in our catalog. All Guineas 1702 – 1714 Anna British gold coins in our catalog. All 1760-1820 George 3 Great Britain gold coins in our catalog. Over the entire period of coins’ mintage in the UK, about 94 Mints were founded, which succeeded each other or united in their work. The very first Mint was founded by the Romans in the III century BC and functioned for about four decades. The own coins of the royal coinage in England were minted only during the reign of King Alfred the Great, and the Mint was located in London. The Royal Mint of Great Britain (The Royal Mint) since 1971 is located in South Wales in the city of Llantrisant, and its history goes back over 1100 years. Today, the Royal Mint is one of the departments of the current government, and its main responsibility remains the coins’ mintage for the United Kingdom. Its impeccable reputation internationally allows minted coins to order for more than 100 countries. In April 1975, this Mint was reorganized into the Government Trade Fund. 1 florin 1343−1344 − 3 pieces. The cost of 1 sovereign of 1857, although many times higher than its denomination, is the lowest compared to other types of coins. Thus, their circulation amounted to 4495748 samples. 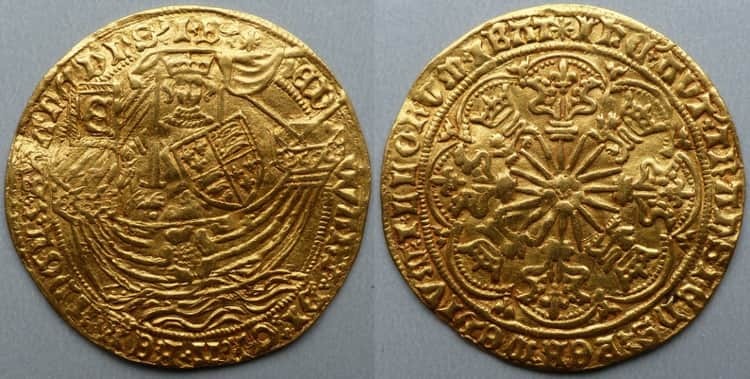 Despite the fact that the golden sovereigns performed to some extent an economic function, demonstrating the impressive gold reserves of Great Britain, there was no particular need for such a high value of monetary units in the 15th century. The main prerequisite for the emergence of sovereigns was to a greater extent a political goal − to add brilliance and influence to the image of the new Tudor dynasty. Indeed, the sovereign appeared in 1489 precisely because the Tudors gained international recognition in the House of the Medina del Campo, because Arthur, the son and heir of Henry VII, had to marry a Spanish princess. The Angel coin was an English gold coin introduced by Edward IV in 1465. It was minted on the model of the French “angelote” or “angie”, which was minted since 1340. The name of the coin comes from the image on it of the Archangel Michael, who kills a snake. 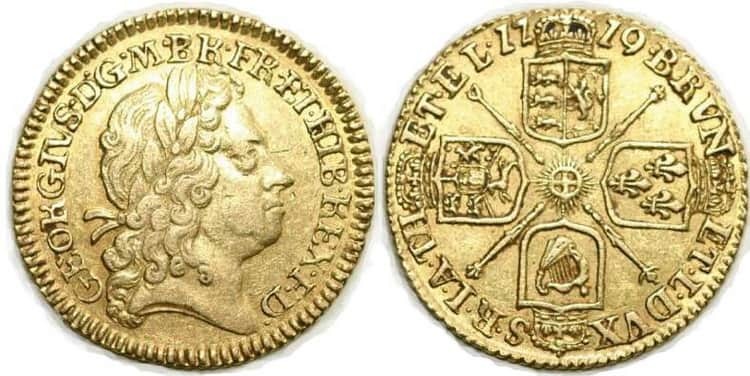 The English gold guinea was a quarter ounce gold coin that was minted between 1663 and 1814. Its name comes from the name of the Guinean region in West Africa, where most of the gold was mined for these coins’ production. Circulation of coins of 5 pounds denomination of 2008, made of 22−carat gold, amounted to only 750 samples. 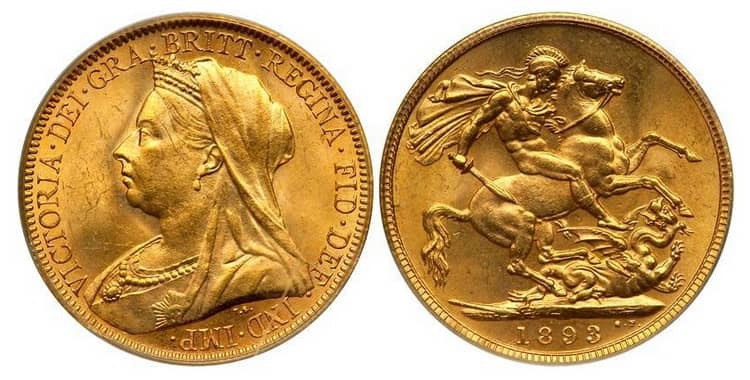 The auction house in the suburbs of London sold one of the rarest coins in the UK − Queen Anna “Vigo”. 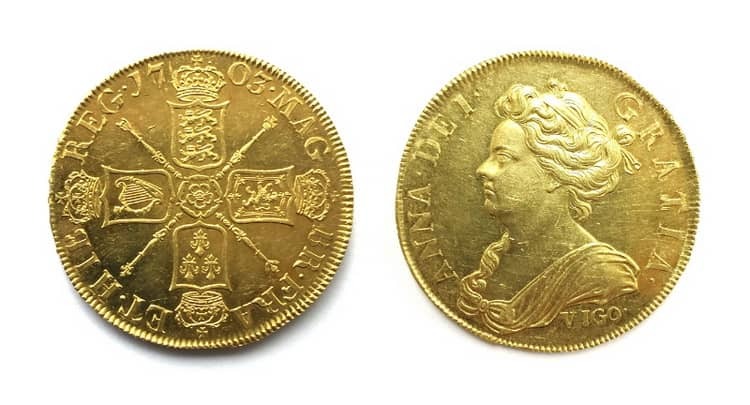 With an auction price of £ 225,000, or about $ 279,000, the coin is one of the 20 gold minted that the British received by capturing French-Spanish treasure ships in Vigo Bay in northern Spain in 1702. 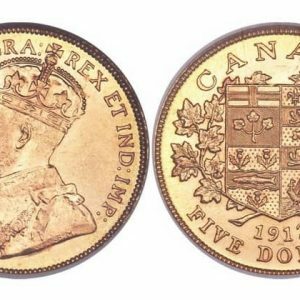 This is one of 15 famous coins that has been preserved and has been put up for sale over the past 50 years by order of the “Bonington’s” auction house. 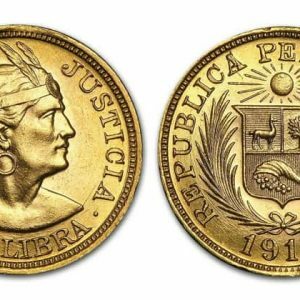 Preliminary estimates of auctions evaluate the price of this coin in the range from 240,000 to 300,000 $ USD. 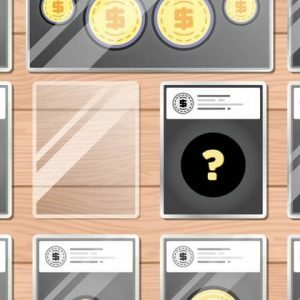 How to add coins to your collection?